Thank you for visiting our website! 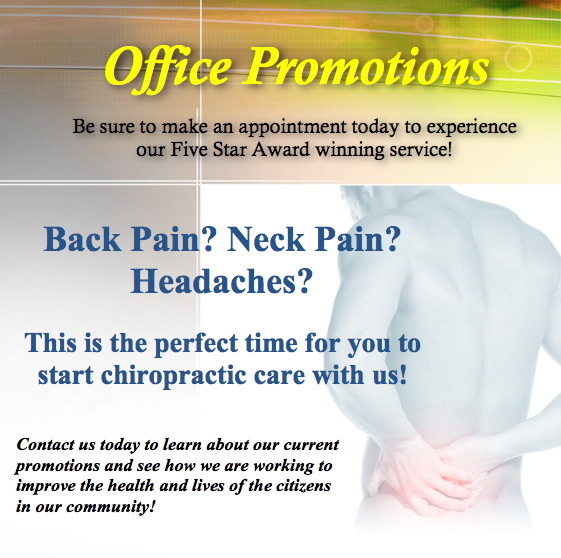 To show you how much we appreciate your business and for choosing us for you and your family’s healthcare, we are pleased to provide this page for the announcement of our current office promotions. We invite you to contact us now regarding our current promotions by calling our office or making an appointment by using the link above!